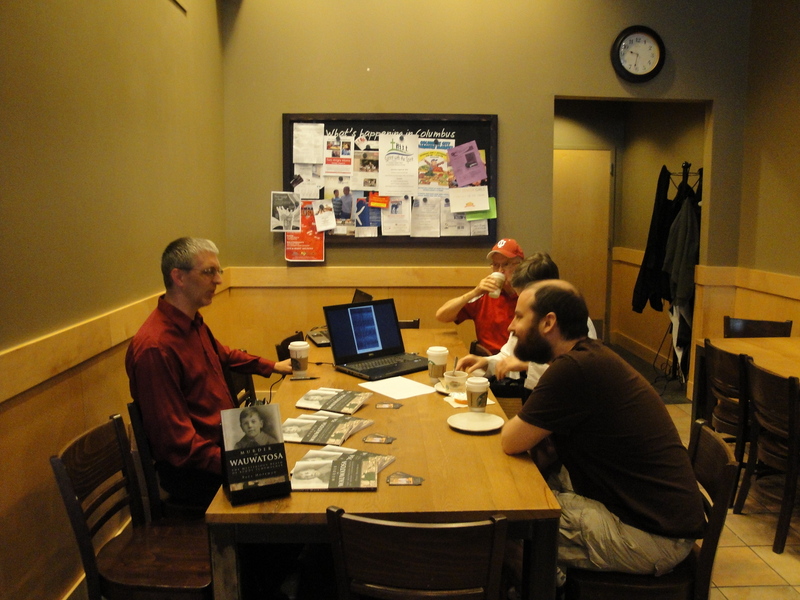 Here I am at Starbucks on U.S. 31 (National Road) in Columbus, Indiana, during the book signing on Aug. 11, 2012. My father-in-law, Jesse Bush, is at the back. 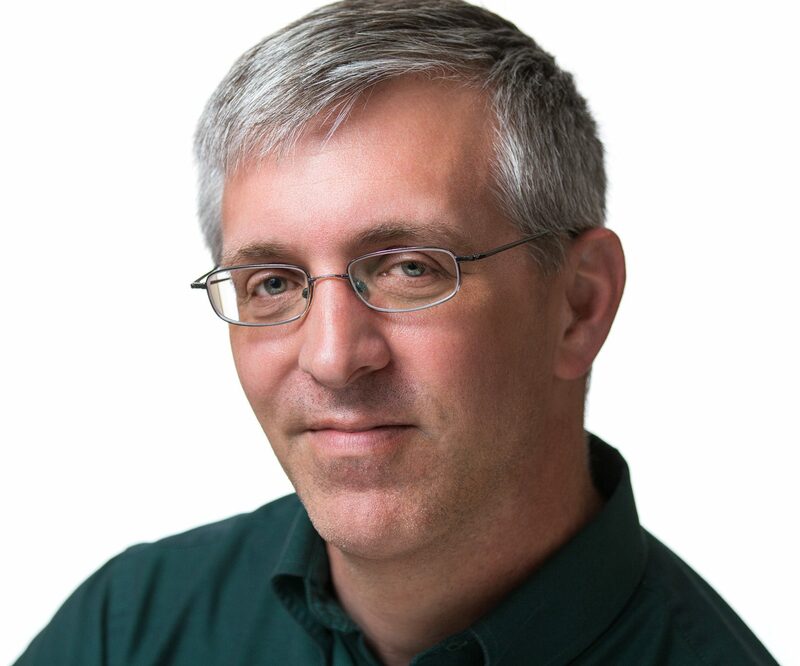 New friends, Isaac and Jean, talk with me. 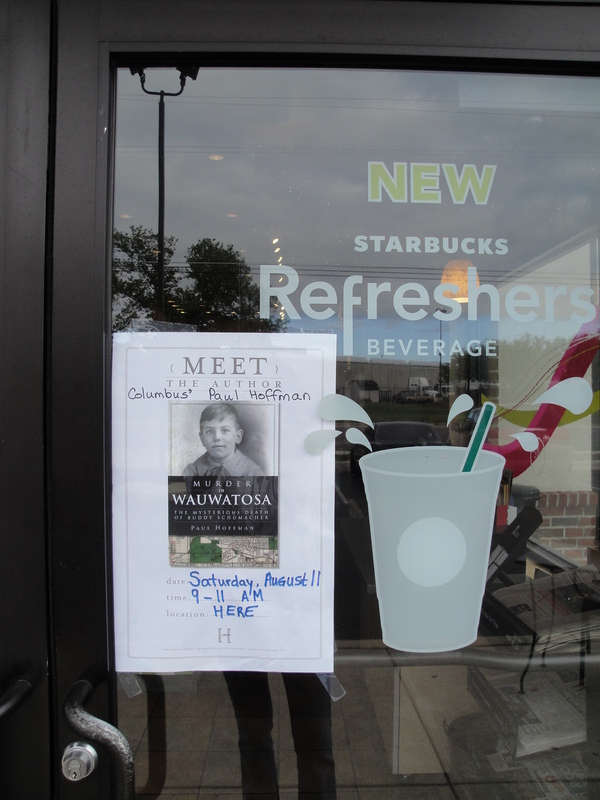 Poster on the front of Starbucks on U.S. 31 (National Road) in Columbus, Indiana, announcing my book signing. 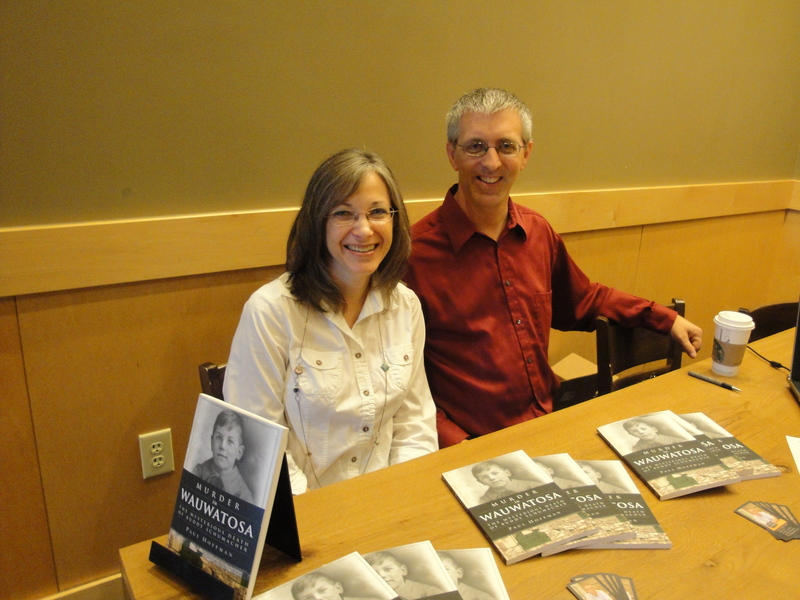 My wife, Kimberly, and I at Starbucks on U.S. 31 (National Road) in Columbus, Indiana, at the book signing on Aug. 11, 2012. 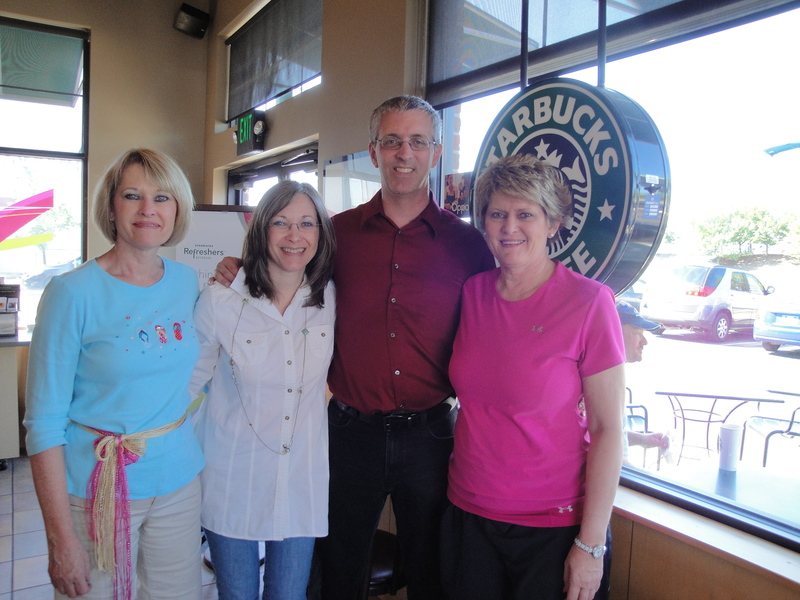 With my wife and her cousins, Joyce and Judy, inside the Starbucks on U.S. 31 (National Road) in Columbus, Indiana, at my book signing on Aug. 11.